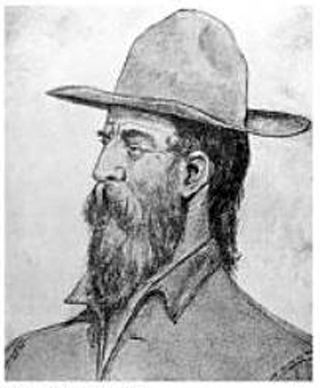 1832 - A trapper from Tennessee, Pauline Weaver was the first white man to visit the Hassayampa, having reached the rippling watercourse in 1832, after a trip to the Casa Grande Ruins. There, he placed his name high up on the crumbling walls and for years lived among the ...A trapper from Tennessee, Pauline Weaver was the first white man to visit the Hassayampa, having reached the rippling watercourse in 1832, after a trip to the Casa Grande Ruins. There, he placed his name high up on the crumbling walls and for years lived among the American Indians, learning their language and becoming acquainted with their version of what the word "Hassayampa" signified. Carleton who knew he would need Weaver, sent two of his friends after him and they talked him into returning. He remained chief of scouts until the end of the war. Meantime Hunter got word on May 1st that Sibley had been beaten badly at the Battle of Peralta on April 15 and was retreating toward Texas.